I began to explore the strange territory encompassed by STEM and martial arts when I took my first physics class in high school. A few weeks into the course, my teacher taught us about Newton’s Laws and examples of forces that they governed. In his discussion, he used a punch as an example of an applied force, which made me think, Were martial arts strikes really just applied forces, dependent on equations? I decided to probe this question by gathering my knowledge of a fundamental martial arts strike, the front punch, and attempting to justify the technique with Newton’s Second Law, which states that the net force (F) acting on an object is equal to the product of that object’s mass (m) and acceleration (a), or F=ma. From my martial arts training, I learned that a proper front punch required hip rotation into the punch. What would Newton have to say on the matter? Hip rotation could be related to increasing mass because it allows the striker to use the mass of their body, rather than just their arm. Using myself as an example, let’s assume that I can accelerate my fist towards a target at 3.5 meters per second squared (m/s2), meaning the speed of my punch will increase by 3.5 meters per second, for each second that passes. Given my mass is 70 kg (~155 lbs), Newton’s Second Law indicates that I can generate a force of 245 Newtons (N) with my punch, if I rotate my hip. If I don’t rotate my hip, then the mass in Newton’s Second Law would be just the weight of my arm, 5 kg (~11 lbs), and the punch would only generate 17.5 N. My Sensei may not have been a physicist, but teaching me to rotate my hip when punching was increasing the force I could generate by more than ten times! I continued analyzing martial arts through the lens of physics throughout college and successfully used scientific principles to enhance my understanding of Kempo and Brazilian Jiu-Jitsu. It was exciting to see my martial arts training benefit from my knowledge of STEM and surprising to realize that the benefits weren’t unilateral. Growing up in the dojo is where I first learned the value of technical skill and the experimental process involved in translating these skills into realistic environments. In a sparring match, these fundamentals are crucial for establishing a targeted strategy that has flexibility to respond to an opponent’s game plan. The same adaptable mindset helps me plan experiments, consider my data carefully and restructure my next experiments to approach the problem from a new angle. This systematic way of thinking is crucial for pursuing an advanced STEM degree, so I’m thankful I had the chance to begin developing this mindset at a young age. 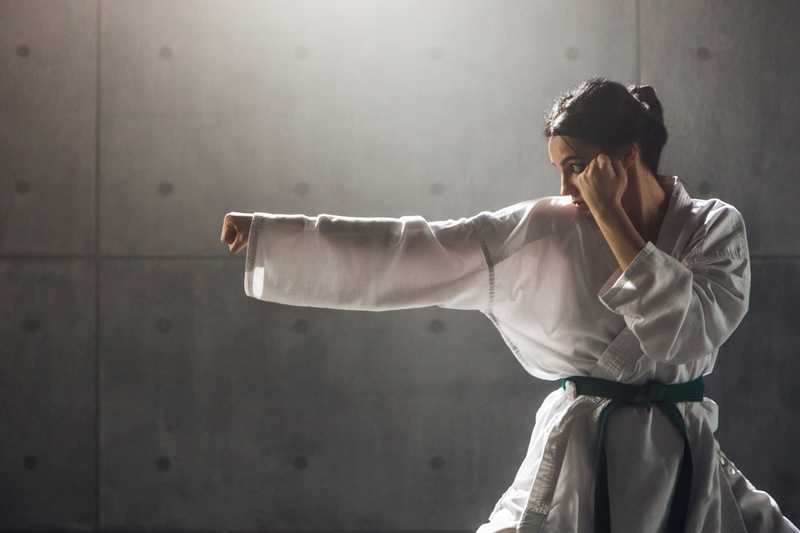 Recognizing the profound impact that studying STEM and martial arts had on my life motivated me to share these lessons as a teacher in the MIT Splash Program. For the past five years, I have volunteered with this organization to teach high school students “The Physics of Martial Arts,” a class I designed, which explores physics, martial arts and the insights that come from exploring their overlap. In addition to motivating students to study martial arts and STEM, I’m proud to say that this class has been successful in challenging them to apply scientific principles to their own unique passions. Igniting these revelations in students has been extremely rewarding because I get to watch them have the same types of revelation I had back in high school physics. Are you interested in connecting with a physics tutor, to help you make larger connections?